IHG® Rewards Club - eBook - G.A.T.C.A. 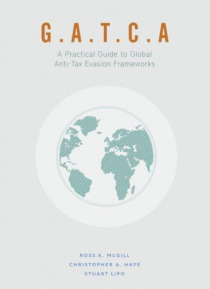 This book is a practical guide to global anti-tax evasion frameworks. Coverage includes base erosion and profit shifting (BEPS), the Common Reporting Standard (CRS), and the Automatic Exchange of Information (AEoI). It covers the practical operational issues these frameworks present and offers insight into practical compliance options and operational methodologies to reduce costs and risks. The bo… ok concludes with insights into how institutions can translate these complex obligations into effective client communications.